Rusty spent some time in Butchertown for this week’s show, talking with the resident developer of Butchertown Market and a star tenant there — the MS Society, which has a beautiful mural painted on an outside wall. The Butchertown Market stands out as a successful development in what may have once been a difficult part of town to do business, but with Andy Blieden’s leadership it has become a go-to spot with restaurants and businesses. And there’s more on the way with Butcher Block, now underway nearby on Main Street. Listen in to hear about Andy’s passion for biking to work and doing business in Butchertown. 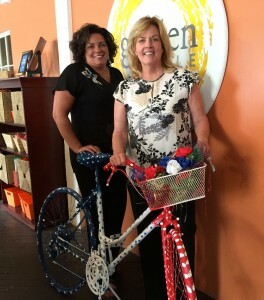 Mary Carabella and Suzanne Thompson head up the Bike MS event, one that I’ll be participating in June 25. We talk about the ride and the fight against MS. In the “what I’m looking forward to” part of the show, I talk about the Whisky Live event at the Marriott East, the Huey Lewis concert at Horseshoe, and the city’s rallying around gay pride with a festival this weekend. Thanks for downloading the show!